Bullet-Proof your Feet! 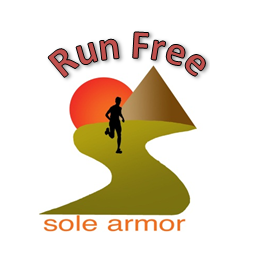 : Sole Armor Review and Giveaway! After having reviewed a wide variety of minimalist shoes and running gear over the last few years, I figured I had seen just about everything. But, a few months back I was alerted to an interesting new after market product for minimalist trail runners. So what exactly arrived in that thin little envelope above? Sole Armor... or what I like to think of as Kevlar for your feet! Stick around to find out more about Sole Armor, and enter to win a pair to try for yourself! So... what exactly is Sole Armor? It is basically the world's first after-market insertable rock plate designed for minimalist shoes and Vibram Five Fingers. Ok, I will admit at first that I was a little skeptical of this idea. Primarily because it seemed to contradict the whole minimalist/natural running concept. Why by a minimal shoe, and then turn around and beef it up? However, after exchanging a few messages with Scot at Sole Armor and reading more about the product, I was intrigued and decided to give them a try. I tested out both the "regular" shoe insert (that I used in my Merrell Trail Glove 2.0), and the VFF insert (I tested these the the Spyridons). 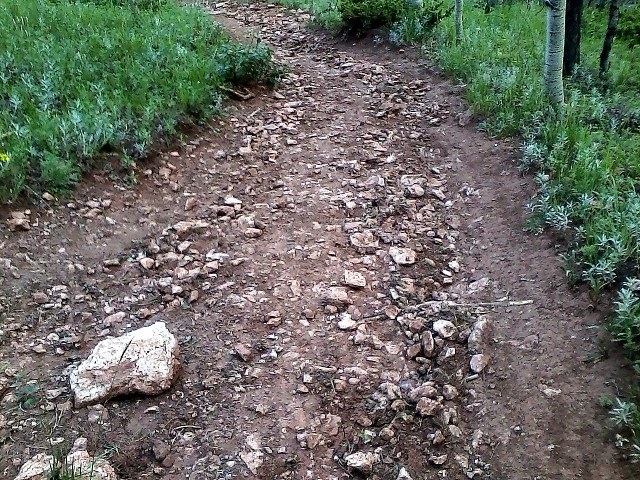 Some of us may have different shoes we might run in, based on trail conditions. Basically Sole Armor expands your options without having to buy more shoes. You can easily add a bit more protection before, or even during a run in your favorite minimalist trail shoes. 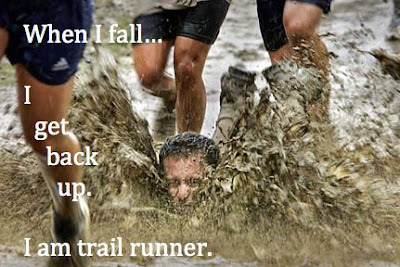 This could come in handy at the tail end of a really long or arduous trail run. So, what exactly are you adding? If you use the "Pro" protection, you get a 1mm flexible plastic rock plate, sandwiched with a hard neoprene base, and a softer foam upper, with a total stack height of 3.25mm. Now, depending on the existing stack height of the shoe you are adding it to, it could be a significant increase. My main concern was how they would impact proprioception, or change the overall feel of the shoe. So, to test these appropriately, I ran on one of the rockiest trails I know of around here, and to keep it scientific, I of course ran with Sole Armor in one shoe, and no insert in the other for both the Trail Glove and the Spyridons. And the result is? I really, really liked the feel of these inserts. Running with just one insert in, I was able to feel the additional protection I was getting (which was great), BUT.. I was also able to tell what I wasn't losing, which was flexibility and decent ground feel. To me, Sole Armor inserts hit the sweet spot of adding extra protection for those times you take a bad step and nail a nasty rock, and retaining the great flexibility and proprioception you want from a minimalist trail shoe. When running on trails like the one above, I found that the Sole Armor inserts helped to diffuse any sharp impacts across your foot. So, while I could still feel the contour of a particularly sharp rock, the impact was spread a bit more, so less chance of bruising. This was the same for both the regular and the VFF inserts. Also, the inserts fit very well in each shoe, however they can be trimmed easily for a custom fit. The soft foam upper would be suitable for barefoot as well, however I generally run in socks. The ONLY potential issue I could find in these is that I did feel the transition between the insert and sole of the shoe in certain instances. In the long run that could potentially be an issue, but less of one if you get them sized right. Also, as you can see in the pic below.. there is a bit of tapering at the front of the insert to help minimize this feel. So... will these cost you as much as another pair of shoes? Not at all.. Sole Armor inserts range from $16.99 to $25.99 depending upon the size, level of protection, and type of shoe. I think they are well worth the investment, especially if you like the option to add protection for tougher trails, or to toss in your pack to add in late in a long run when you feel like you could use the help, or you start stumbling all over the place like I do :-). So, check them out here http://steepcanyonrunning.myshopify.com/ OR you can enter below to win a pair free! Contest will run until Monday, September 30th, 2013 at 10PM MST. Open to residents of the U.S., U.K., Canada and Australia!